Better living after years of work ventures and striving for good service for the family, is still worth and attainable. This is what we all want to do. Thus, having the right, comfortable, refreshing location, and full of pride area to live are big factors to consider. Don’t worry, we have this place or location for you to experience the pride you are looking for living, the freshness of daily you are longing, and the elegance of the areas you are waiting- we have the Menzi’s Orchard for you! 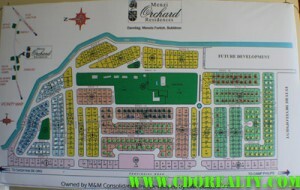 Menzi’s Orchard is a very good place for a perfect living and relaxation for all the ages, especially for those retirees. This is designed with the concept of a ranch area, and has all the amenities needed for the better living of each community member to be on the entire areas. Owning one of the lot cuts in this Orchard, you could feel the pride of the place and complete contentment of living in this area which is very comfortable and relaxing in all kinds. It’s location, lots cut, and the setting of the place is rely considerably, worth discovering and fit to all individuals who are seeking for the real nature that the area could offer. Having been in this area just this morning really drove me well to discover the true and total beauty of how Menzi’s Orchard looks like! It’s full of wonders, full of growing tress and the thick green beau encrusting the area. With its View Deck, this shows the full circumference of the Orchard and its neighboring areas, with its individual perfection. Those give the loud breezes and the fresh touch of the air on our skin! 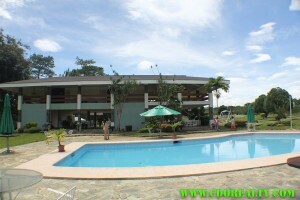 This is where you can inhale the real air freshness to your body and lungs and where you won’t hesitate to see and capture the beauty of how Alae, Bukidnon and the rest of its surrounding areas were made beautifully more than the standard you are longing for! 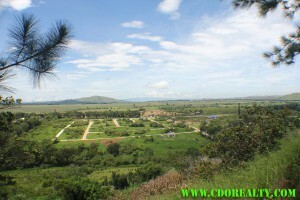 From the view deck, we can see the Del Monte plantation and the full ground and areas of Menzi’s itself and the neighboring areas that are full of its green environment and the chic of the entire place. You can have all the greatness of the setting, where relaxation, peace, and green living are tastefully mixed and presented. In Menzi’s Orchard, the elegance you are waiting for years from work is already set. Don’t waste time to partake one of the available cut lots we have! Try to live in this place where you can have the full gayness even in the place appearance itself, with its highly recommended beau and service intended for you and your whole family! After living your city life, which is full of social hassles; live and know the occurrence of this well-planned place for the every individual in all social status!